According to a 2017 Value Penguin evaluation, the average FICO credit score in Michigan is a 678, putting our state just 19 points away from a “Poor” average rating. Making matters worse, 11 percent of those surveyed have declining or worsening credit scores. 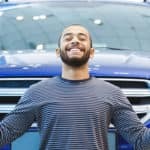 This means there is a massive need for bad-credit car loans in Michigan. RightWay can help. Here’s how. 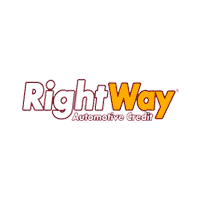 RightWay should be your first and only stop for bad-credit car loans in Michigan. Our talented specialists will evaluate your credit situation, put together a plan that works for you and find a lender that best fits your situation. 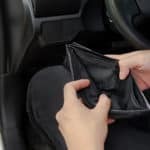 Whether you filed bankruptcy, got divorced, had slow payments in the past, have unpaid medical bills or even had a repossession, we can help match you with an auto lender. We can also work with those on a tight fixed budget or are self-employed and have variable income. Come by and sit with one of our specialists to find out how they can help you. We work with more than 20 lenders to get our customers financed. These lenders specialize in handling customers in all types of financial situations and are well-versed in working with applicants who have credit issues. 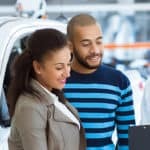 Since we have established relationships with these lenders, we understand what they need to get you approved for a bad-credit car loan. Stop by and let one of our specialists match you with one of our lenders. We not only specialize in customers with damaged credit, but we also offer those customers a massive selection. 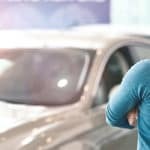 With 16 dealerships in Michigan alone and more than 1,400 used cars available at our 29 dealerships throughout the country, we are sure to have a car that fits your needs. Additionally, every vehicle we sell – we’ve sold more than 58,000 of them – comes with a six-month/6,000-mile powertrain warranty. Why are we confident enough to offer this warranty? Because our cars are inspected by independent repair shops. We also give every buyer two years of free oil changes to help keep their new car well-maintained.